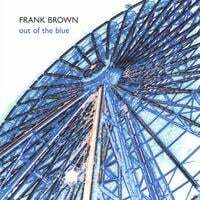 Ah, yes...Frank Brown's 2005 release Out of the Blue. (Of course, Frank's album title has an awfully familiar ring of its own). And it's a pretty good album, too, worth checking out if you missed it back then - it's still available on CD Baby and eMusic. Nevertheless, I'm still a little disappointed in both of these discs; neither had a power pop cover of the Ohio Players' "Love Rollercoaster" The Pernice Brothers' "Ferris Wheel" on it. We'll start off with one of last year's top 100, #50 to be precise. UK powerpoppers Silver Sun with Dad's Weird Dream. This one's a must, so if you didn't pay the import price for it, now's a good chance to get it inexpensively. The other two lean toward the more psychedelic side of power pop: Doleful Lions' Song Cyclops Number Two, and The Green Pajamas' The Night Races Into Anna. Grab these two and party like it's 1967. Video of the Day: Mika-"Grace Kelly"
I know I'm a little late to the party here, but count me in as another one blown away by Mika's Life In Cartoon Motion, and especially the UK smash "Grace Kelly", seen below. If for some reason you haven't yet heard of Mika, he's basically Elton John, Queen and the Scissor Sisters rolled into one and turned up to 11. Aside from "Grace Kelly", tracks like "Stuck In The Middle", "My Interpretation" and "Billy Brown" will defy your attempts to get them out of your head once you've listened. The album gets a US release tomorrow, and I see that Best Buy has it on sale for $7.99, a deal and a half. 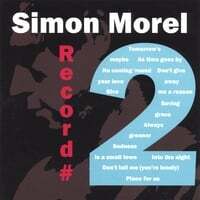 Last year, one of the first discs we featured on this blog was Simon Morel's Songs From The City, and the Australian is back with his second disc, Record #2 (the time spent coming up with that album title must have been incalculable). #2 is a bit different than Songs From The City, feauturing a little more harder-edged pop sound than its predecessor courtesy of production from the legendary (in power pop circles) Michael Carpenter. Carpenter's production is apparent right off the bat with the power pop gem of an opener, "Tomorrow's Maybe", and the rock of "As Time Goes By" (not a remake of the Casablanca standard). Other uptempo standouts include "Don't Give Your Love Away" and "Sadness In a Small Town", possibly the catchiest track on the disc and featuring great harmonies on the chorus. Fans of Morel's softer side won't be disappointed either; "No Coming 'Round", "Saving Grace" (co-written with Carpenter), and the closing "Place For Us" are all high-quality ballads. * Josh Fields is back in stock at CD Baby. With two sellouts already occurring, I'd recommend acting fast. * Two new releases of note at eMusic. They have the new Holmes full-length, Stop Go, about which I'll have more to say soon. Check it out. Also new this week is the latest from The Loves, Technicolour, which was featured at Not Lame this week. As a matter of fact, so was the Holmes. * Adam Merrin of The 88, whose solo debut we featured earlier, had "Still Alright" from that disc played during last night's episode of Grey's Anatomy, one of the highest-rated shows on US TV. 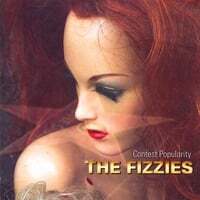 LA's The Fizzies are the latest entrant in the high-energy, power-in-your-power-pop sweepstakes, and they deserve a winning ticket (or at least a decent listen) with their disc Contest Popularity. You can draw a straight line from T.Rex to Cheap Trick to Weezer to Rooney in their sound, but they have enough quirks and moments of originality to place their own stamp on things. On to the songs. "Honey" opens with a rocking punch, while "Rock Kidz" has a glammy sound that either lampoons or observes with affection the band's possible intended demographic. Elsewhere, "In a House" has a Fountains-of-Wayne feel with its pure pop melody and use of proper names; "Love Suicide" channels The Cars, "It's Alright" is power ballad bliss, and "High" reminds me of the Bay City Rollers in the chorus, but its verses are from somewhere else, jazzy and breezy-sounding. Closer "Garbage Generation" has something to say, and could pass for a track off the new Ted Leo disc. In my third piece in a row today in a desperate bid to make up for a recent lack of posting, I'll note that there have been some great adds to eMu today. In fact, it's not every day that two of my top 100 of 2006 get added in the same day, but today was one of those days. Most notable was my #22 for 2006, The Hazey Janes' Hotel Radio. As I wrote over a year ago, "The HJ's are at the intersection of my two favorite styles of music: power pop and alt-country. The Jayhawks and Cosmic Rough Riders comparisons are most certainly apt." I never gave the disc a proper review, but my lofty ranking speaks for itself. "Moanin' Face" was an unfortunate omission from my favorite songs of 2006 list. My #74 popped up as well, The Virtues' Where Were You?. See this post for more on these Swedish janglers (scroll down about halfway), complete with a couple of mp3 downloads. Finally, had I done like David Bash and compiled a list of top reissues/compilations, Smash Palace's Best of 99-06 would have been near the top of the list, and it should be at the top of yours. The Sheers-Goodbye World. I've had this disc for about a month or so, and originally it didn't jump out at me - it sounded good, but not a lot to distinguish it from some other good discs I've heard. But on coming back to it recently, I found that most of the hooks had burrowed themselves into my brain, and it was like catching up with an old friend. 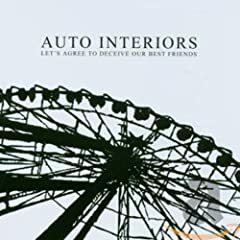 This is really good power pop with a bit more of a commercial sound; in fact, "You're Just Lonely" was recently featured on the ABC TV Series "Men In Trees". I hear The Tories and Jellyfish here, but more in frontman Danny DeLaMatyr's vocals than the sound, which is more akin to Fastball or Semisonic. One notable exception: the early-McCartney/Emitt Rhodes influenced ballad "It Is What It Is". 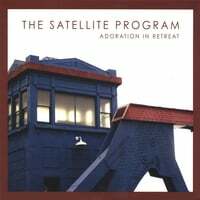 The Satellite Program-Adoration In Retreat. This Seattle band has kind of slipped under the radar, but they have an excellent sound that falls somewhere between straight-ahead power pop and americana/alt-country. This is apparent right off the bat with "Tough When You Tell Me", which jangles with enough grit to please fans of both genres. Other highlights include the rocking "Inside Man", the midtempo "Rollaway", "Red Roses In The Snow", and the moody ballad "Western Electric" (a great song title for this band's sound). You can listen to the whole thing at their official site, and grab it at CD Baby. Or perhaps by the time you read this, it'll be featured on the front page of Not Lame, per the news section of the band's site. Either way, check it out. 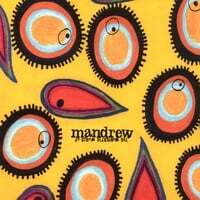 Last month I told you about Mandrew, and his great debut album on eMusic. Well, here's his new one, and it's another quality outing which falls somewhere between "power pop" and "indie pop". 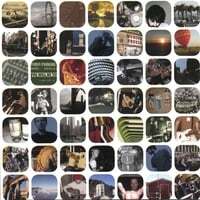 Whether it's the rocking "Burning" (which sounds like Paul McCartney fronting Collective Soul), the Jon Brion-ish "Expanding The Collection", the Beatles-by-way-of-Matthew-Sweet "I Can't Write", the Posiesesque "Obsceneries" or the AC Newman-influenced "Note to Self", the world of Mandrew is wonderful indeed, and this one needs to go to the top of your current power pop wish list. I know I'm going to have to make room in my top 10 for it. The outstanding Monkeeman disc from last year, which placed #19 on our Best of 2006, is now available via eMusic in its re-release form. When it was independently released last year, it was self-titled, but he signed with El Muto Records, and they've put it out as Jumping On The Monkey Train. Whatever you call it, it's a great listen, so get on over and use those downloads. I switched over to the "new Blogger" today, so I thought I'd fool around with the fonts/colors, etc. and shake the look up a bit. To make the archives a bit more manageable, I changed from weekly to monthly archives; with the new blogger format, it should be easier to find older posts. I'm also going to experiment with the "labels" function, to make it easier to pull up related posts. I have nearly 400 posts to edit to make it comprehensive, but I've gone back and done all the ones from 2007 so far. This way, if you click on say, the "eMusic" label, you'll get all the posts in which I've linked to discs on eMusic. Also, you'll notice if you scroll down far enough that all the labels that I've done so far are listed on the right for your convenience. For those interested, I've dug up some more information (and music) pertaining to Josh Fields, whose self-titled disc is our #1 favorite of 2007 to date here at Absolute Powerpop. Some sleuthing (OK, a well-crafted Google search) led to the discovery that Fields was in an early-decade band called March Hares. They can be found at Garageband.com, and there are three songs that can be downloaded. First is an early version of "Clock Keeps Ticking", the outstanding leadoff track on the new CD. It's pretty much the same, except the mix isn't quite as good and it's slightly different towards the end. Another is "Peter Frampton", a 2-minute track about wanting to be the 70s superstar that doesn't do much for me. The third track is "She's a Spaceship", which is really pretty good, and would have been nice to have re-recorded on the new disc to flesh it out a bit (it's only 7 tracks). Also you may have remembered that in my original post on the disc, I couldn't find a myspace for Fields. Well, that's because he's still using the myspace for March Hares. And four of the tracks from the new disc are streaming there, including "Clock Keeps Ticking" and the equally great "Steal The Air". I also found his listing of record label on the myspace page ("Taiyo Yuden") to be quite amusing. Oh, and by the way the disc is sold out on CD Baby again. 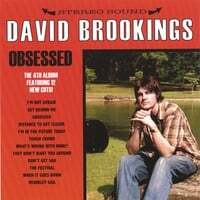 Memphis's David Brookings has established himself as one of the more consistent power pop artists of the decade, and his fourth album, Obsessed, is another winner. Brookings' music has been described (according to Not Lame) as "power pop in the vein of such timeless faves here as Jim Boggia, Michael Carpenter, The Grays, Cherry Twister( and Parallax Project), Marc Carroll, Paul Melancon, The Candy Butchers and Matthew Sweet". Obsessed has more of the sound of recent Mike Viola/Candy Butchers than some of the others listed above, and the punchy "I'm Not Afraid" starts things off with the right mix of sass and melody. "Get Behind Me" is a rollicking acoustic number, and the title track is a wonder - a wistful midtempo number that recounts Brookings' life to date in music. Other highlights include the classic power pop of "I'm In The Future Today", the gentle acoustic "What's Wrong With Nikki?" and the Michael Penn-ish "Don't Be Sad". "Get Behind Me" and "Obsessed" can be downloaded at the myspace link below. Also get his previous two albums at eMusic. Apologies for the extremely intermittent posting over the last 7-10 days, as I've been out of town over the past couple of weekends, and very busy at work. Things should start picking up again. While I was "away", there have been a few significant power pop releases added at eMusic. Most notable is the brand new disc from The Primary 5, Go!. The band features Paul Quinn, who once drummed for Teenage Fanclub, and the TF influence is quite apparent on this disc as well as their 2005 debut effort, North Pole (also available on eMu.) There's also a jangly Byrds sound to TP5's work as well. A must-grab. Also check them out on myspace. Jon Yeager, late of the Daybirds, put out a great EP in 2005 titled Truth & Volume, and followed that up with a late 2006 full-length titled Foi (that's French for "faith", by the way). Foi is now on eMu (as well as Truth & Volume), and it's great singer-songwriter pop, not unlike Pat Buchanan or more famously, Pete Yorn. Finally, the Pugwash catalog continues its eMu rollout with the addition of Earworm, the predecessor to his great 2005 album Jollity.